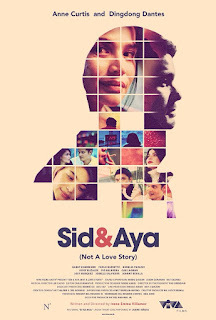 Sid and Aya (Not a love story) Not a love story is a romance drama starring Anne Curtis and Dingdong Dantes along with Gabby Eigenmann, Cholo Barretto. Bubbles Paraiso, Josef Elizalde, Gab Lagman, Johnny Revilla and Joey Marquez. It is produced by Viva Films and N2 and written and directed by Irene Villamor. 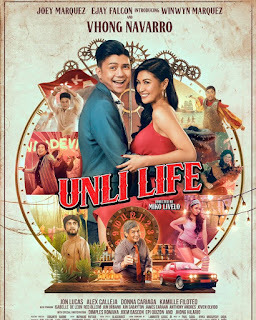 The film premiered on May 30,2018. The film tells the story of handsome but ruthless Sid (Dingdong Dantes) a stock broker who suffers from insomnia and depression. He spends his night in a 24-hour cafe near his condo where he meets Aya (Anne Curtis) a waitress at the said cafe. Aya works two more jobs: A part time clerk at laundry shop and a performer in an amusement park. After being charmed by Aya, Sid offers her another job: To keep him company for a few hours every night. Although insisting that it is not a love story the story unfolds in a way that tells it otherwise. Dingdong Dantes and Anne Curtis are no strangers to making good films. Both have starred on acclaimed films and to finally have them together in one project is exciting, seeing that this film is Curtis and Dantes’ first film together. The writer and director; Irene Villamor is no stranger to complex yet interesting love stories either. To see this trio collab in the big screen is very exciting and to be offered such intriguing story adds to excitement. The story and cinematography looks very promising. We have been presented with mediocre to cringe-worthy stories lately but this movie hopefully seems different, better. A promising story along with two of the Philippines finest actors and a director who has given us good quality films lately sure is worth a watch. So is it a love story or not? Its definitely yours to decide. Watch Sid and Aya: Not a love story in cinemas near you.